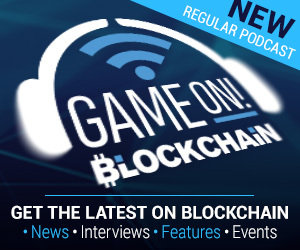 Blockchain Gamer Connects Helsinki mid-term ticket prices end at midnight! Book your Blockchain Gamer Connects Helsinki tickets by midnight to save up to $250 with our Mid Term discount! From tomorrow, all tickets for the event will be full price. Don’t miss out – book now! On September 11th and 12th, four conference tracks entirely dedicated to blockchain gaming will introduce the core technology and terms, as well as illustrate how companies are able to raise money and monetise games. We’ll explore the particular issues of game design showcasing some of the best titles live or in production and explore the potential opportunities for the future. We’re thrilled that we have confirmed speakers from NeoDistrict, Pixowl, gumi and Reality Clash among the 40-strong contingent of world-class speakers. We’re about to reveal the full conference schedule any day now, but in the meantime, you can read about more big names speaking at the show here. Finland is also the setting for the $150,000 finale of the Alto Cryptogame Challenge, powered by BlockchainGamer.biz. Following a huge response, the entrants have been shortlisted down to the final five for the Finnish showdown, where three will go head-to-head-to-head for the lion’s share of the prize pool in a nail-biting climax worthy of any international competition. Blockchain Gamer Connects might be coming to Finland for the first time, but it’s in good company. The two-day event runs alongside the country’s biggest event for the games industry, Pocket Gamer Connects Helsinki. Featuring mobile games, as well as PC, VR, AR and handheld consoles, 2018’s edition is set to be the biggest ever for the event’s fifth year in the capital. 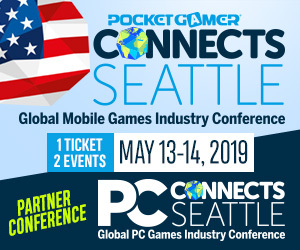 The exhibition and conference will be attended by over 1,200 delegates from more than 600 companies, plus a further 120 speakers across 12 tracks featuring the likes of King, Unity, Epic Games, Ketchapp, and Vlambeer. You can find out more about the confirmed speakers here and here. Your ticket will get you into both shows. That not enough for you? We’ll also have a bustling expo, a game jam, Big Indie Pitch events for PC and mobile with G-STAR, workshops, the IGDA Mentor Cafe, matchmaking sessions, an unlimited free meeting system and, of course, our infamous PechaKucha-style sessions and legendary Global Connects party. Save up to $250 TODAY! Come and join us for two packed days of gaming insight, expert opinion, and business opportunities by the Scandinavian sea. Tickets are full price from midnight, so book now and save up to $250! Call for speakers for the first ever Blockchain Gamer Connects in Hong Kong!